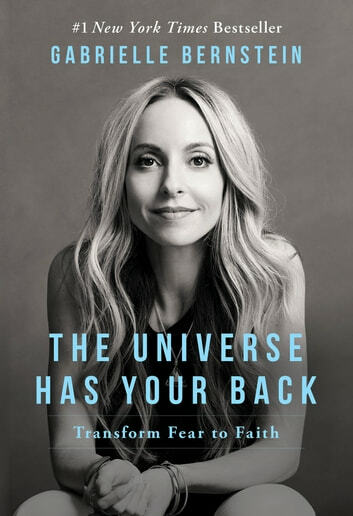 In her latest book, The Universe Has Your Back, New York Times best-selling author Gabrielle Bernstein teaches readers how to transform their fear into faith in order to live a divinely guided life. Each story and lesson in the book guides readers to release the blocks to what they most long for: happiness, security and clear direction. The lessons help readers relinquish the need to control so they can relax into a sense of certainty and freedom. Readers will learn to stop chasing life and truly live. Making the shift from fear to faith will give readers a sense of power in a world that all too often makes them feel utterly powerless. When the tragedies of the world seem overwhelming, this book will help guide them back to their true power. When readers follow this path, they ’ll begin to feel a swell of energy move through them. They will find strength when they are down, synchronicity and support when they ’re lost, safety in the face of uncertainty, and joy when they are otherwise in pain. 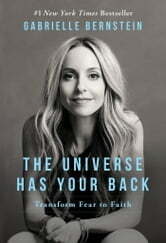 Follow the secrets revealed in this book to unleash the presence of your power and know always that The Universe Has Your Back.